6-CD box (LP-size) with 76-page hardcover book, 164 tracks. Playing time approx. 418 mns. This collection presents, for the first time, 164 recordings on 6 CDs - all the classic Dot recordings from the early days, as well as all the Capitol recordings. Many of the great Dot singles appear here for the first time since their original release, in newly remastered sound with complete discographical information. Included too is an entire Capitol LP that has never been released before. The enclosed 76-page hardcover book by Charles Wolfe and Eddie Stubbs was compiled with Mac Wiseman's co-operation, and includes many rare photos and illustrations from his private files. 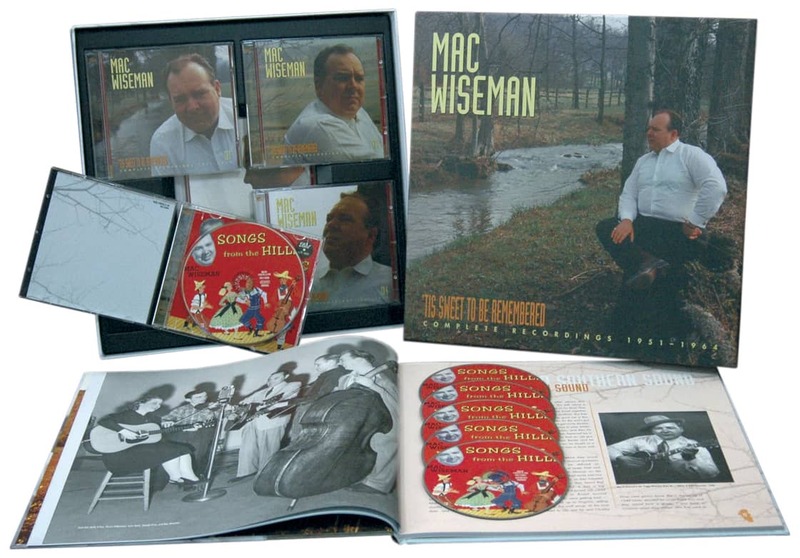 In his more than 70 years in the limelight, singer and guitarist Mac Wiseman has worked to popularize bluegrass and modern country music from the ground up. He remained a valuable mentor and ambassador for both genres until his death. He died on February 24, 2019 at the age of 93. Highlights of his career include the introduction of the doubled fiddle in bluegrass and he was the last surviving member of Lester Flatt & Earl Scruggs' original Foggy Mountain Boys. This fact alone makes him a key figure in the commercial and musical development of bluegrass in the 1940s. He was also the last living co-founder of the Country Music Association (CMA). 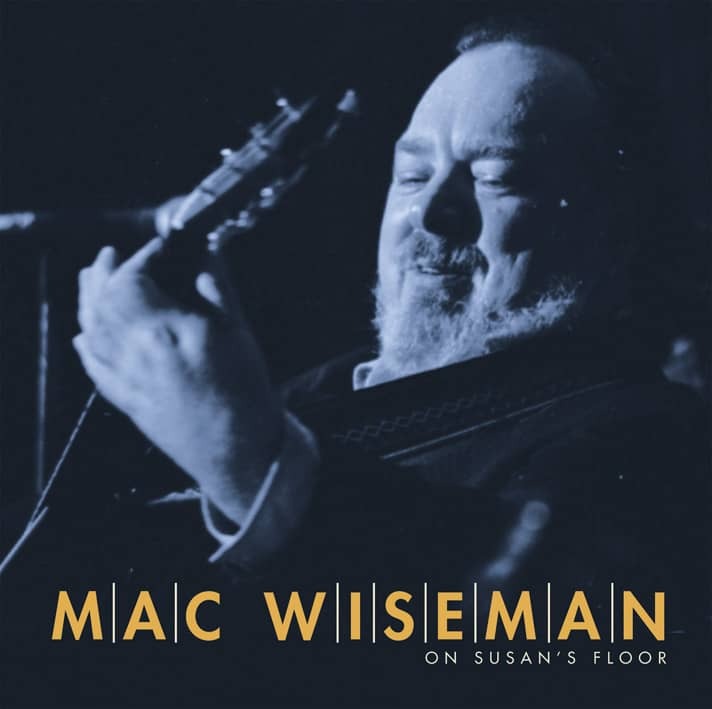 Wiseman helped found the original CMA board in 1958 to protect country music from the threat of increasingly popular rock'n'roll and its strong influences, although he recorded a number of rock'n'roll and rockabilly titles himself. He was the organization's First Secretary during this important period in Nashville's economic and social development. when Mac’s new interpretations became career hits. On one occasion he even teamed with big band leader Woody Herman to sing My Blue Heaven” (yes, it’s on Bear Family). Malcolm 'Mac' B. Wiseman was born on 23 May 1925 in Crimora, Virginia, he contracted polio at an early age. While other children were working in the fields, Wiseman stayed at home and listened to music. As a teenager, he bought a guitar from a Sears Roebuck catalog and began playing his favorite songs while singing lyrics his mother broadcast on radio. He recalled these handwritten lyrics on the 2014 album 'Songs From My Mother's Hand'. Wiseman began his career in 1944 as a bassist for Molly O'Day's Cumberland Mountain Folks. This was followed by a gig with Bill Monroe's Blue Grass Boys, which took Wiseman on a tour with Hank Williams and a studio job for Nashville's first Bluegrass recording session. In the 1950s, he worked with Dot Records as a successful record artist and respected A&R representative and producer. From 1966 to 1970, as director of the show, he housed new artists at the influential WWVA Jamboree in Wheeling, West Virginia. Today it is the second oldest country show after the Grand Ole Opry. 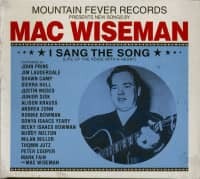 In the 1960s, Mac Wiseman fans Merle Haggard and Johnny Cash sang songs of praise to him as they built their own careers. 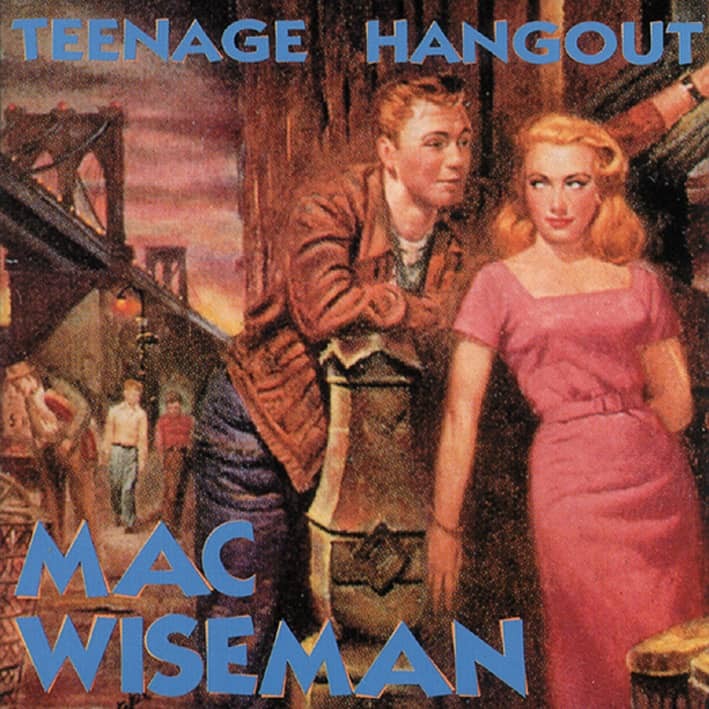 Wiseman later made both recordings, appeared on several Cash 'American Recordings' releases and worked with Haggard on the album 'Timeless' 2015. Recording sessions with artists such as Doc Watson, Merle Travis, the Osborne Brothers, Alison Krauss and John Prine are also worth mentioning. 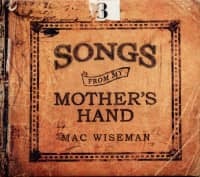 Mac Wiseman's preferred style has always been bluegrass. In 1986 he co-founded another influential organization, the International Bluegrass Music Association (IBMA). In a Facebook post, the IBMA laments the loss of a musical treasure, a productive storyteller and great friend. The greatest honor for him was his admission to the Country Music Hall of Fame and the National Heritage Fellowship's nickname, 'THE VOICE WITH A HEART'. In a sometimes fickle and hard business, Wiseman remained known as one of the friendliest and most generous people. "A great musician passed away at the age of 93. 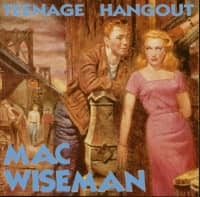 Mac Wiseman. A visit to him was always planned during our stays in the USA. Mac was full to the brim with stories and was always full of (musical) plans, despite the health ups and downs in recent years. Over a can of coke or soda, these were then debated debaucherously. We miss these meetings already now, and we are grateful for the time we were allowed to spend with Mac''. 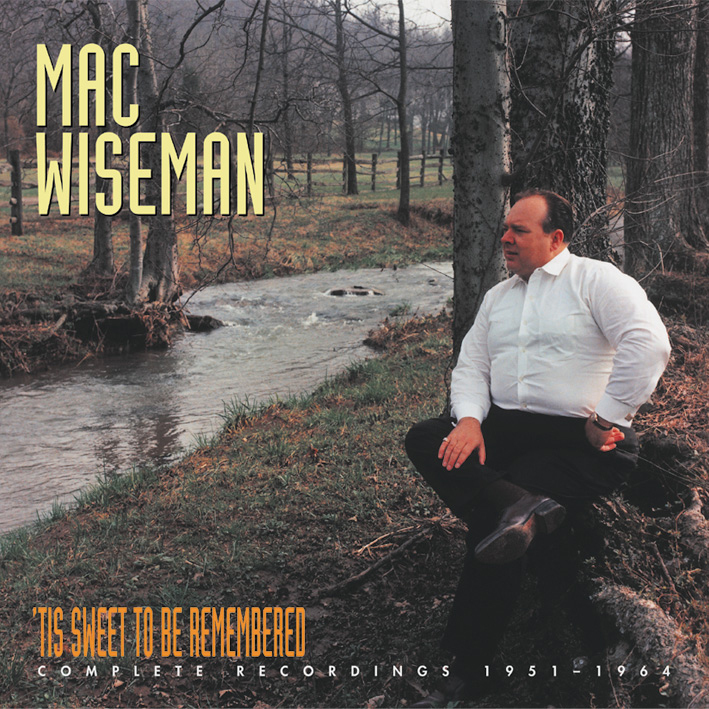 Customer evaluation for "'Tis Sweet To Be Remembered (6-CD)"
His early style really was bluegrass, though with less room for the banjo, mandolin, and fiddle to stretch out than in the Monroe model, and it's interesting to hear how the sound shifted toward the smoother flavor of the later discs here, first by adding twin fiddles, then by adding drums and electric guitar, and finally by giving up the five-string. By the mid-50s, Wiseman was really a C&W artist, not that he had ever been a million miles removed.